Imagine having the beautiful wedding that you have dreamed of set on the idyllic island of Zakynthos but with all the stress taken out of it leaving you to enjoy a hassle free, fun and relaxed wedding day. 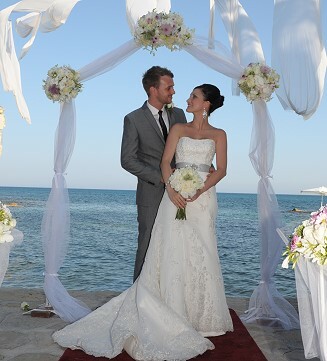 We offer civil wedding ceremonies, renewal of vows and blessings which can take place at any of our beautiful venues.. 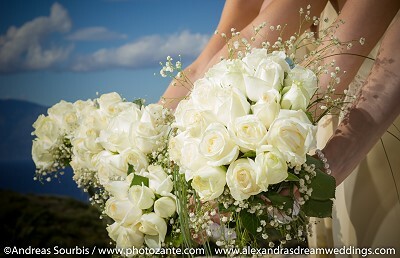 Religious weddings take place in the Catholic church or at one of the many Greek orthodox churches on the island. Civil wedding ceremonies are short in duration providing a lovely informal ceremony conducted in Greek and simultaneously translated into English. You can still include the traditions you would have had at home such as music, readings and personal vows. Weddings in Zakynthos are best conducted in the late afternoon and early evening as it is cooler and it also leads nicely into the reception. The exact time depends on the time of year but we plan weddings so that it will always be light enough for your beautiful wedding photography during and after the ceremony. 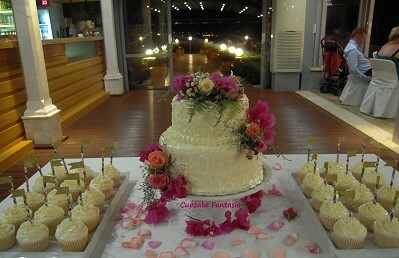 You don't need to commit to a fixed package when first booking your wedding as we offer a foundation package to which you can add extras such as flowers, cakes, arches, photography, decoration and more at a later stage in order to create your own personal wedding package according to your requirements and budget.